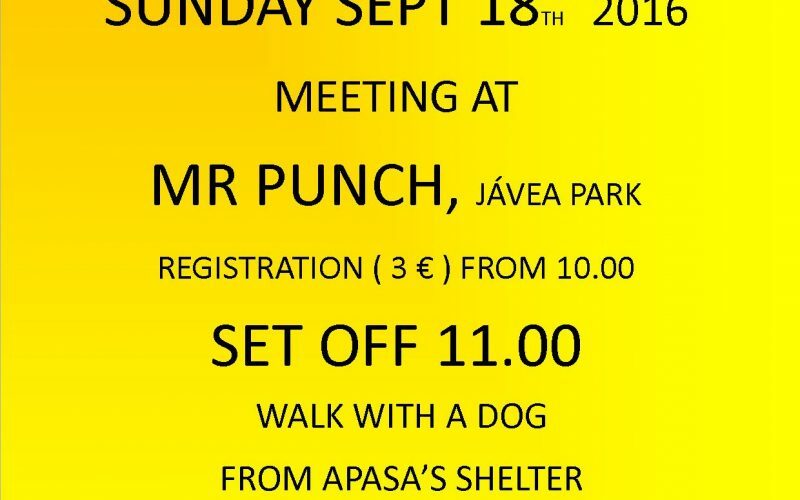 Apasa’s 4th annual Dog Walk is on Sunday September 18th at Mr Punch on Javea Park. Walk with a dog from the shelter or bring your own dog. Sponsorship forms are available at Mr Punch’s, Apasa shop or Apasa shelter.